A recent randomized trial by Yuzer et al., in the Journal of Stroke and Cerebrovascular Diseases 2017, investigated the effects of functional electrical stimulation of the wrist and finger extensor muscles of patients with chronic stroke who had spasticity of their wrist flexors. The electrical stimulation intervention was applied for 30 minutes per day for 5 days a week for a total of 20 sessions to fully extend the wrist and finger flexors. Compared to the control group, the study group receiving the electrical stimulation demonstrated significantly greater increases in passive and active wrist range of motion and overall function. Only the group receiving the electrical stimulation showed significant reductions in spasticity and improvements in function of the treated upper extremity. This study emphasizes the effectiveness of incorporating electrical stimulation into the overall rehabilitation plan. Electrical stimulation can help give patients more motion and function in their affected arm and hand. There are many electrical stimulation products on the market today so it may be difficult to understand which one is right for you. 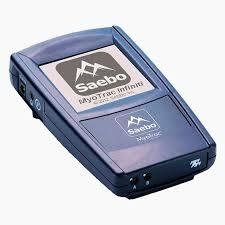 For example, more advanced forms of stimulation, like the Saebo MyoTrac Infiniti, allow for functional-based “triggered” electrical stimulation. Meaning, the user will stimulate the desired muscles at the exact time that it is needed by using their very own muscle signal (EMG/biofeedback triggered) to perform a functional task or movement. Regardless of the type of electrical stimulation chosen to improve hand function or decrease spasticity, be sure to find a device that is easy to use so that it can be performed at home, increasing your ability to follow through with the home exercise program. As with any exercise regimen, the more you practice, the better the result. To find the perfect electrical stimulation device for your needs, click on the links below to for a comprehensive list.